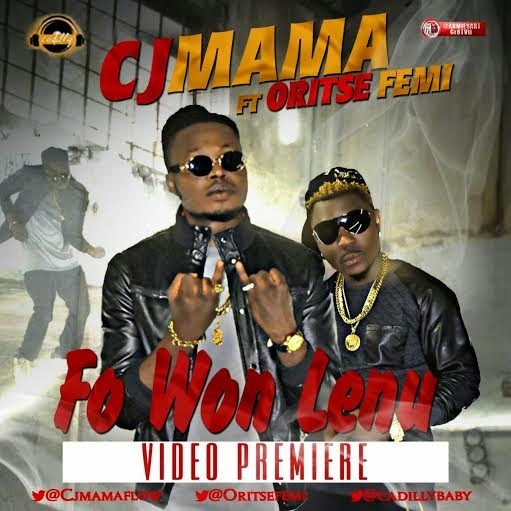 Cadilly Entertainment presents the official video for CJ-Mama’s massive collaboration with the musical Taliban, Oritsefemi titled ‘Fo Won Lenu’, a joint which has stirred controversies and responses from various quarters since its audio release several weeks back. This top notch video directed by award winning and highly creative director, Aje Filmworks is a must watch for every lover of street hop and genuine creativity. The video features cameo appearances by new label mate, YQ and super producer, Laylow; amongst a host of others. Without mincing words, ‘Fo Won Lenu’ is the next big tune for every music lover’s ears and feet.